which set of mics has a problem?? Topic: which set of mics has a problem?? Any help would be greatly appreciated! John Bell and I both ran onstage last weekend (same stand on vark bar). I needed a tiny bit of his source to splice and we are going to do a comp between the two. 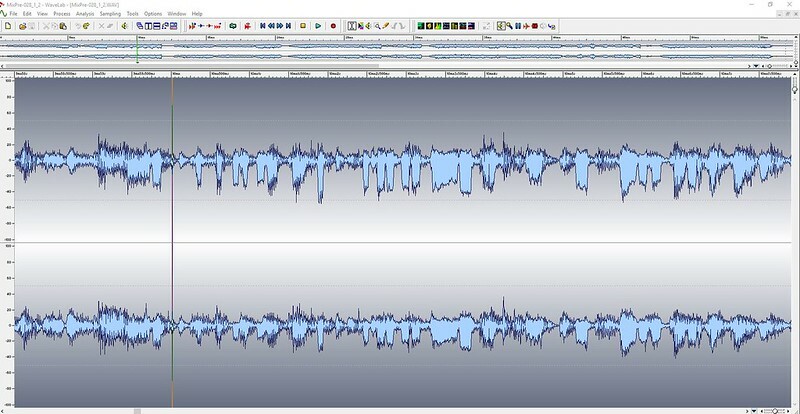 Anyway the peaks in the waveforms are reversed! So my limited knowledge tells me one source is out of phase or the phase is reversed or something. The phase scope in wavelab looks the same on both (vertical with all peaks between 0 and +1). If I invert phase to either source they then look identical and again phase scope looks fine. Both sources sound fine either way. No dc offset according to wavelab. So how to know which set of mics has the problem? 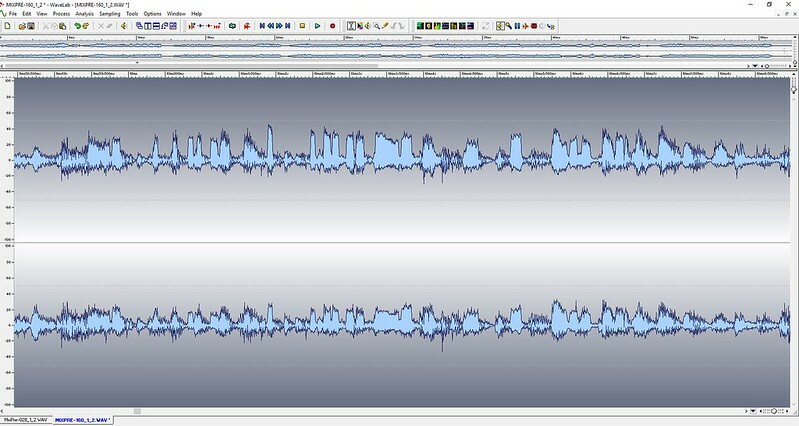 The reason for the odd waveform is 3 horns mostly in the left channel recording onstage. This makes it very obvious. My source is Neumann ak40 > Nick mod lc3 > Naiant PFA > MixPre-6. John will have to chime in with exact source but it's something like new nbob m20's > nbob kcy > 60v PFA > mixpre6. First pic is my source, second is his. Re: which set of mics has a problem?? My source is MG M20 caps > Nbob KCY> PFA> Sound devices Mixpre-6! If they are two independent sets of mics does one of them have to be wrong? If one set of mics had flipped waveforms I would think something is up, this, not so much. Ran on same stand, both din inches apart one would not expect waveforms to be completely reversed. 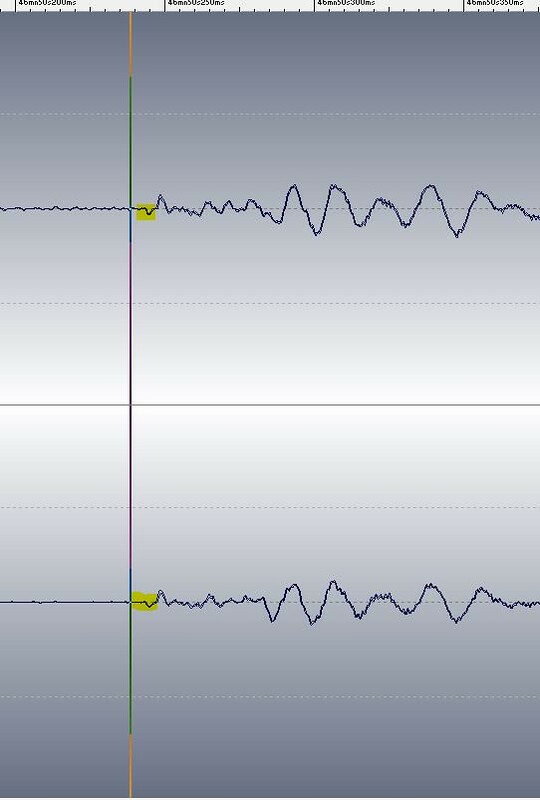 I prefer the peaks in my waveforms to be revered. Well obviously one of you had your pair of mics mounted upside down. Sorry, couldn't help myself. Yes, it appears that one of your signal chains has the polarity inverted. If I had to guess, it's either going to be one of the sets of PFAs or maybe cables. It seems like a long time ago I was running two pairs of mics (maybe Church CA-14s + chopped Naks) and I always had to invert one pair due to the way they were wired. As I understand it polarity is the + and - being switched as opposed to phase which would be the signals being time shifted relative to each other. If you can run one mic of each pair through a normal body and one though the active setup you can probably identify which pair has the inverted polarity. Yep one set is clearly 180 degrees out of phase. I can find no reference to this being an issue with the km140's. I did find reference on here to it being an issue when using the lemo actives with the ak40's (only one or two post). John has no other way to run his to test so I ran a test with my mics every way they can be run. Meaning pfa, no pfa using the breakaway actives, full body, then full body without the short interconnect (incase it was that). Even did full body with a different set of xlrs. All waveforms match. So that rules out my pfa's, xlr's etc. If it's mine then it's the caps and they have been that way since I got them 11 years ago. But again I find no reference to this being an issue with km140's. Very top is how I ran at the show. very bottom is full body with different xlr's. others are various ways I mentioned. 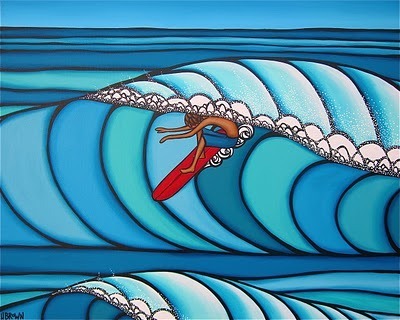 The waveforms that tend more toward the positive are more likely to be correct in my experience. As for why this is occurring, I think the problem is with your expectations. Microphone manufacturers are free to ground either side of their capsules, and to apply a positive or a negative charge, as long as in the end, the output of their amplifier has the correct signal polarity. But you're substituting different electronics from the ones that the capsules were designed to work with, so all such bets are off. This is easy enough to fix now that you know you have a problem. Thanks for the reply. As I said I tested with full body km140 as well as ak40 mod lc3 > pfa and the waveforms matched and did not appear inverted. To me that rules out my caps but Naiant mentioned that neuman's are -50v thus polarity reversed but my understanding is that if wired properly it would not invert the phase. Your testing confirms that your recording has correct polarity. The other source is the one which would seem polarity inverted, which fits DS's experience as well as mine with the positive going side typically registering higher values. Another way to tell is to zoom way, way in on the waveform of an otherwise isolated transient (stick click, clap or the like) and look for which direction the waveform goes first. It should go up (positive voltage) before down, but can be hard to see if buried amongst other sounds. PFAs can be wired for either inverted or non-inverted output. Jon informed me that those intended for powering low-voltage electrets are generally inverting unless he knows what mics they are intended for, as many of those mics have inverted output so the PFA inversion corrects that. The initial pair I received from him early on for DPA 4060 (which have a positive polarity output) inverted polarity, and I sent them back to him when ordering a few other pairs so that they would all have non-inverted output. drum hit. ever so slight but it goes down first.